David du Plessis Drawing, Writing, Visual Storytelling, & Books! 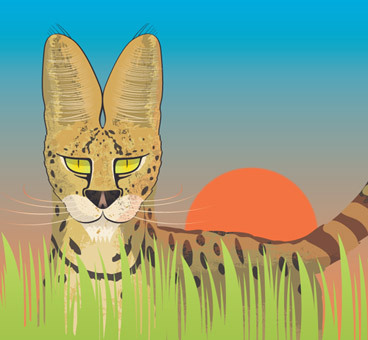 An animal picture book story about size and safety in the bushveld, with the details remaining true to nature. 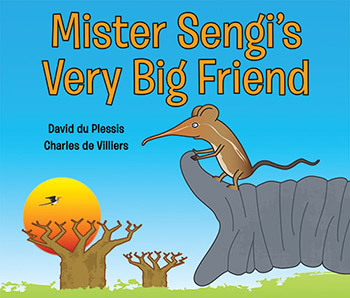 Sengi is an elephant shrew (that’s what a ‘sengi’ is) whose new friend Tortoise tries to take him to meet a real elephant. On the way they encounter the dangers of a Hornbill and a Serval – and having a Very Big Friend comes in handy. Sensible, enjoyable text with some superb artwork. Computer graphics used as art. Soft graded colour-washes in the background, stylised grasses, clearly outlined main characters. I loved the way that the tortoise’s shell (and the Moon) suggested a map of the world. This is quality stuff, with atmosphere, character, drama (the first appearance of the serval is magnificently menacing) and still a splendid story for children 3 to 8. Now that reviews are appearing I’m thinking about the amount of work it takes to create a picture book. A sane person wouldn’t attempt it. But it’s the drawings themselves that inspire you to keep working, and when they emerge fully formed you know you’re on the right track. 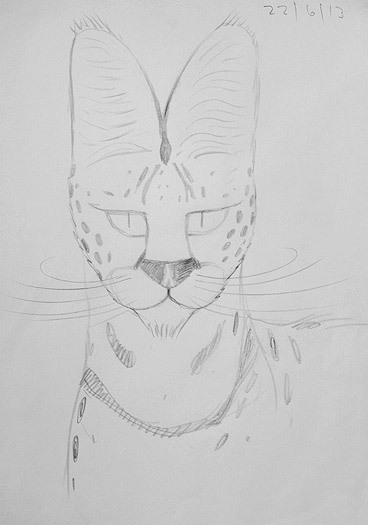 About halfway through the book I met Mister Serval in Charles’s evocative writing ‘with his neat whiskers and his big ears sticking straight up like a top-hat’. he is one of the stars of the show! I’m lucky to have the opportunity to do this. © 2019 David du Plessis. All Rights Reserved.